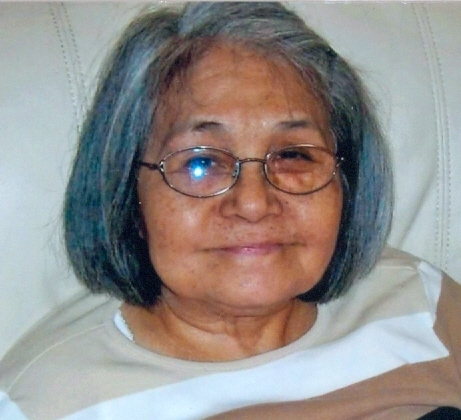 HUBBARD Kimiko K. Johnston, 79, died Friday morning April 12, 2019 at Assumption Village Nursing Home. She was born September 23, 1939 in Mindanao Philippines a daughter of Torao and Tomi Takara Kinjo. Her family returned to Okinawa when Kimiko was a small child then she moved to America in 1974 when she married her husband John and has lived in Hubbard for the past 35 years. Mrs. Johnston was a waitress at Jib Jab Hot Dog Shop in Hubbard for 10 years. She loved sewing, crocheting, knitting and gardening. She leaves her husband, John P. Johnston, whom she married November 1, 1974; a daughter, Tasha Gesacion and her husband Nick III of Bala Cynwyd, PA; a sister, Miyoko Uehara and her husband Shinichi of Naha City, Okinawa; 2 grandchildren, Gabriella and Nico Gesacion and several nieces and nephews. Kimiko was preceded in death by her parents; a brother, Koichiro and a sister, Kiyoko. Family and friends may call on Friday April 19, 2019 from 5:00 PM to 7:00 PM at the Kelley-Robb-Cummins Funeral Home. Memorial donations may be made to University Hospital Neurological Department, 11100 Euclid Ave., Cleveland, OH 44106 or to Hospice of The Valley, 5190 Market St. Boardman, OH 44512. There's still time to send flowers to the Visitation at the Kelley-Robb-Cummins Funeral Home from 5:00 PM to 7:00 PM on April 19, 2019.